Well, hello there Doodlebug pals! It's Wendy Sue here today, I know Halloween is tomorrow, but I'm getting a little jump start on the next holiday, which will be here before we even know it! I love adding little festive touches to our Fall decor to turn it into "Thanksgiving" decor, so I'm switching up this simple frame with a little "Thankful" banner! And, don't look now, but I'm making some little party favor type boxes to fill with delicious white chocolate popcorn! Since Doodlebug didn't come out with a new collection for Fall or Thanksgiving this year, I wanted to use some of my favorite fall colors from the basics collection. 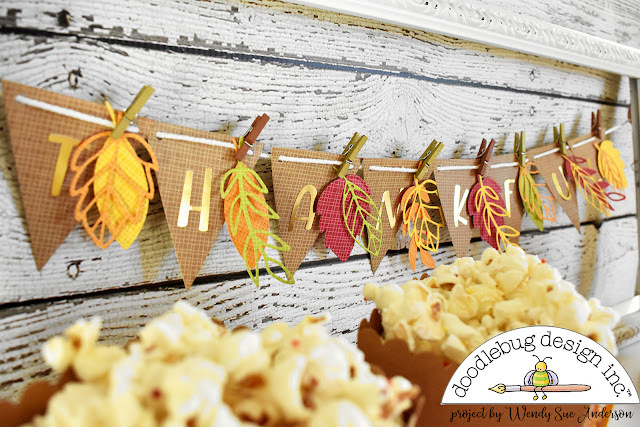 I used a leaf die to cut each colorful leaf and beautiful gold "Abigail" letter stickers to create each flag on the banner. 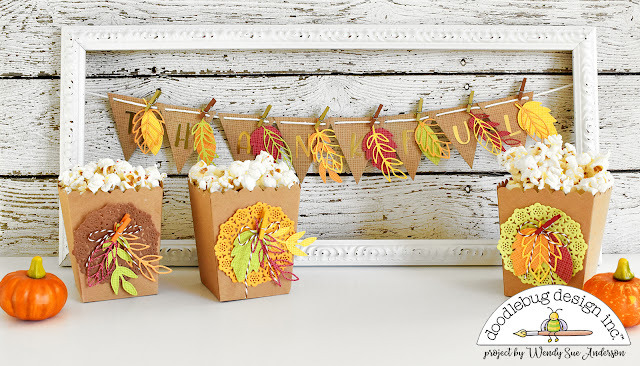 Each set of leaves is connected to the banner with a gold or brown mini clothespin. 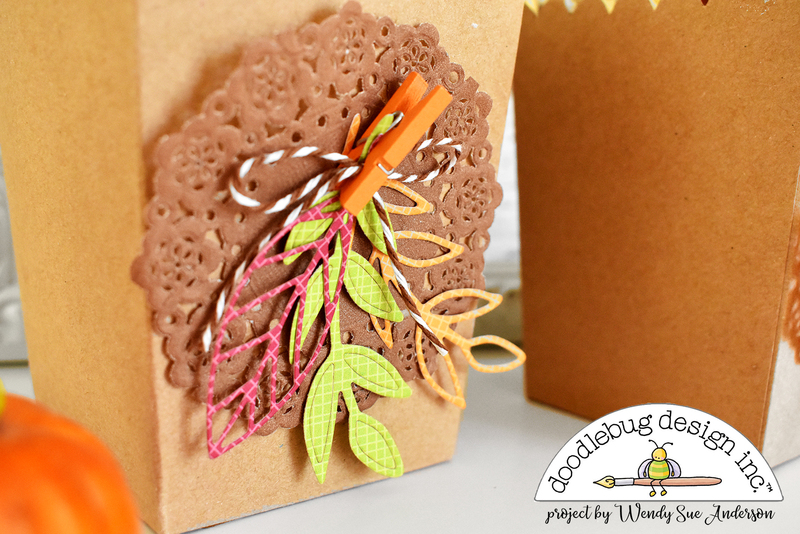 I used some pre-made craft boxes for the treats, but, of course, I doodlebugified them!! 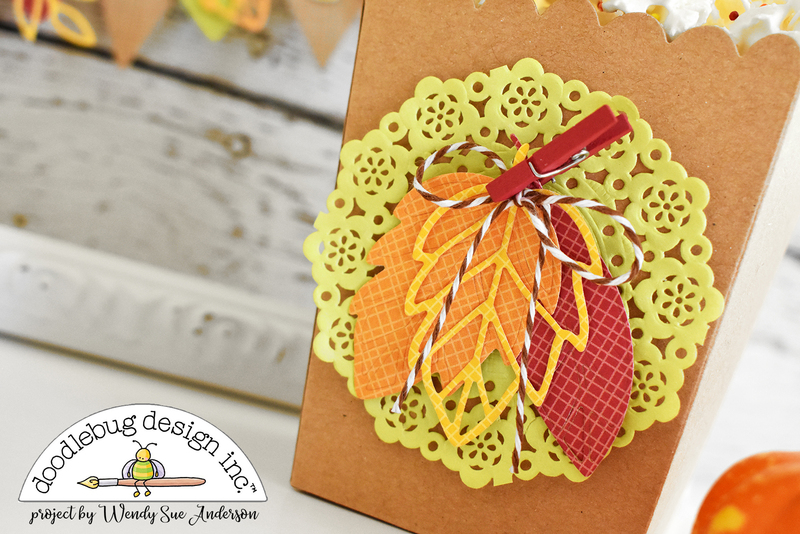 I used the same leaf die-cuts, along with mini doilies, mini clothespins, and doodle twine. 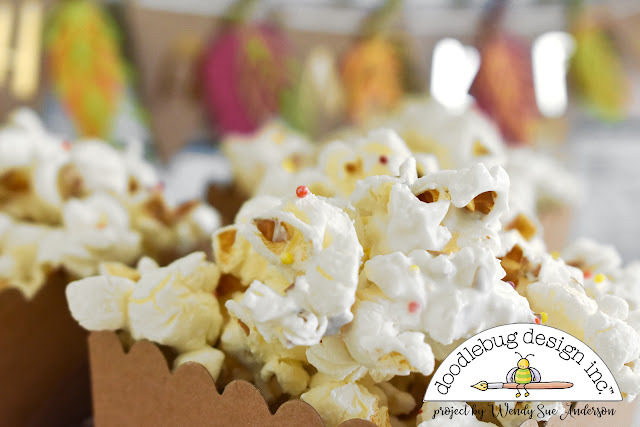 Then I filled each one with yummy white chocolate covered popcorn! Wouldn't it be cute to add a name to each clip and use these as placecards for Thanksgiving?!? 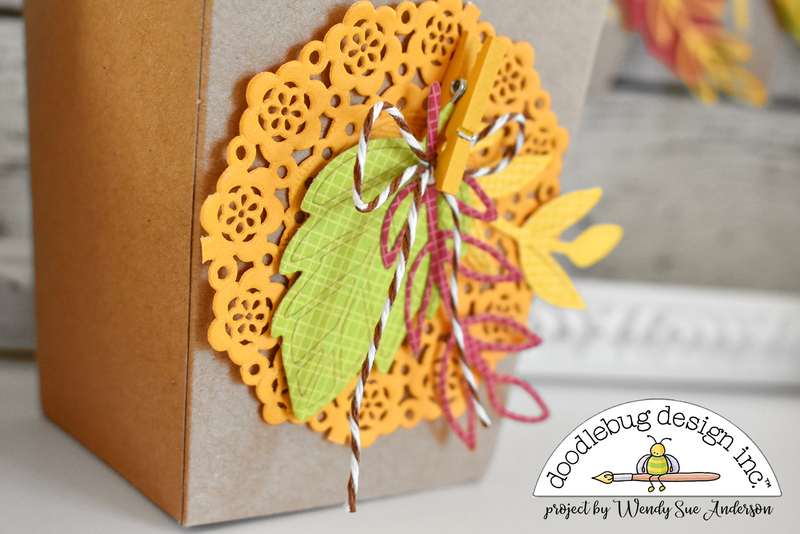 To sum up, I'm super thankful for all things Doodlebug! I'm always inspired when I pull out Doodlebug products to create! Hopefully you're finding time to be grateful and celebrate it over the coming weeks! Your banner and treat boxes are super cute!! These creations are so lovely ! How fun!! Love the banner details!